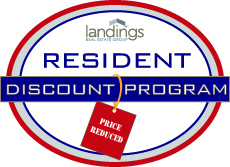 Welcome to the Orchard Hills Landings Apartment Community Resident Discount Program! Residents can click on the "Find A Discount" link below to search special offers from local merchants. Business owners & representatives can use the "Offer A Discount" link to post special offers for our residents. We hope you enjoy this wonderful amenity offered by Orchard Hills Landings! We want to hear from you, our residents, about the businesses you frequent and would like to see listed on the Orchard Hills Landings Resident Discount Program! Please take a few moments to complete the brief survey below. Your feedback will help us improve the Resident Discount Program and get you the deals you want at the places you shop, eat and do business at everyday! We appreciate your participation. What other local businesses would you like receive special discounts from?